AMD shares dropped nearly 4% following a BlueFin report suggesting rival Intel could ramp up production of its 10-nanometre processors sooner than expected. 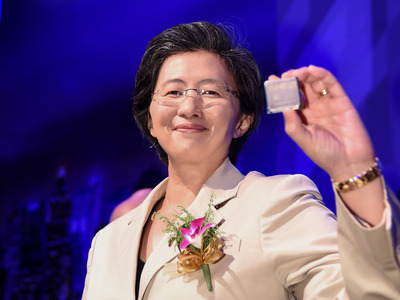 AMD’s stock price has almost doubled in last three months after analysts projected the shortage in Intel’s chip supply will likely be a benefit to it in the server and high-end commercial-desktop markets. Follow AMD trade here in real time. Shares of AMD dropped nearly 4% Tuesday after a research report said rival Intel could ramp up production of its 10-nanometre processors sooner than expected. According to Bloomberg, Steve Mullane, an analyst at BlueFin Research Partners wrote in a note sent out to clients on Tuesday that Intel’s second-half production levels “suggest upside to analyst revenue estimates for the fourth quarter and first quarter of 2019.” The note further added that the suppliers think the production could be pulled forward by four to six weeks from the June 2019 timeline. 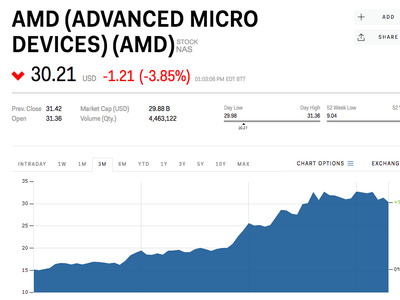 AMD’s stock price has almost doubled in last four months after analysts projected the shortage in Intel’s chip supply will likely benefit AMD in the server and high-end commercial desktop market. The computer industry is grappling with a shortage of processors and looking to replace Intel’s older processors with AMD. “AMD’s profitability and market share have been tied to Intel’s utilization,”Jefferies analyst Mark Lipacisto wrote in September. AMD shares were up 175% this year.